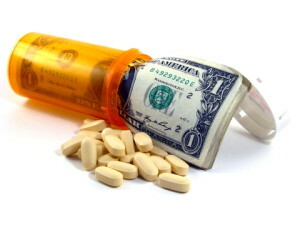 Are you tired of paying too much for your prescriptions? The North Florida Medical Centers can help. We have teamed up with numerous local pharmacies to offer discounted pricing on all medications. Through the federally funded 340B Drug Pricing Program, we can purchase nearly every drug at reduced costs, which means we can pass the savings on to you! Prices may vary, but 90-day supplies of many medications are available for a considerable discounts! There are no income requirements to qualify. First you must be a patient at any of our North Florida Medical Centers locations. Your North Florida Medical Centers provider can send the prescription directly to your pharmacy using their computers. Electronic prescriptions are quicker & safer than handwritten prescriptions. You can bring a handwritten prescription from your provider directly to any participating pharmacy. Virtually all medications are included and qualify for the cost savings. You can even purchase discounted over-the-counter items at the pharmacy with a written prescription from your doctor. Can I transfer existing prescriptions? Yes! You many choose to transfer any existing prescriptions. However, the prescription must be written by a North Florida Medical Centers provider in order to qualify for the 340B Drug Pricing Program. All other prescriptions will be filled at your local participating pharmacy. To transfer your prescriptions, contact your nearest participating pharmacy and provide the staff with your prescription number(s) and the name of the pharmacy where the prescription was previously filled. Their friendly staff will easily arrange the transfer for you.